Sounds a bit extreme to me. "A British woman is facing a two-year prison sentence in Dubai having allegedly wished death on her ex-husband and said his new wife looked like a horse. Laleh Shahravesh, 55, was arrested at a Dubai airport after flying to the tiny emirate to attend her ex-husband’s funeral, the BBC reported. The charges relate to two comments she posted under photos of her former husband on his Facebook account. Cybercrime laws in the United Arab Emirates—of which Dubai is a constituent—state that making defamatory comments can be punished with a fine or jail term. Even though the two comments were written and posted in the U.K., Shahravesh could still be punished with two years behind bars or a fine of around $65,000..
Shahravesh and her husband were married for 18 years. 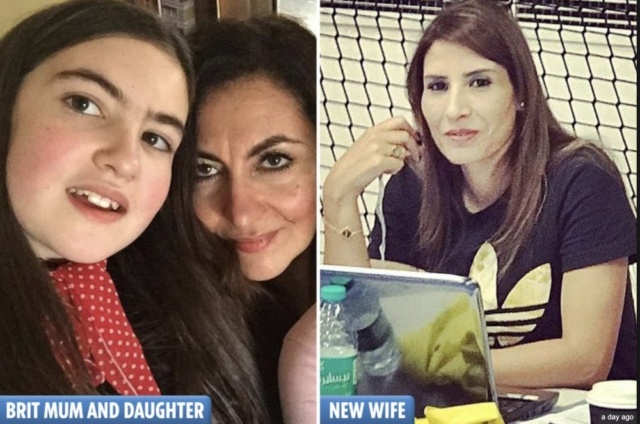 The campaign group Detained in Dubai explained that Shahravesh spent eight months living in the UAE before returning to the U.K. with her daughter. According to The Guardian, the husband remained in the UAE and planned to join them later. However, Shahravesh later received divorce papers in the mail. Re: Woman faces 2 years inside for calling ex's new wife 'Horse Face'. At face value, Laleh Shahravesh appears to be the victim of a very raw deal. Arrested after she landed in Dubai last month with her 14-year-old daughter and then stripped of her passport, the 55-year-old British mother is now facing up to two years in prison and a £50,000 fine. Her crime? Penning a couple of spiteful Facebook posts three years ago about her ex-husband’s much younger new wife. On the surface, it seems like petty stuff. Unceremoniously dumped by her husband Pedro Correia Dos Santos, Miss Shahravesh wrote online that his glamorous new Tunisian wife, Samah, looked like a ‘horse’ after their sumptuous wedding in Dubai in August 2016. "Dubai police urged a woman who complained that a British mother called her a “horse” on Facebook to drop the case, it has been claimed. Police later tried to convince complainant Samah Al Hammadi, 42, from Tunisia, to halt the claim but she “stubbornly refused”, campaign group Detained In Dubai said. The group’s chief executive, Radha Stirling, made the claim following reports that Ms Hammadi wrote a Facebook post suggesting she might drop the case. Lawyers for mother-of-one Ms Shahravesh, who faces two years in jail and a £50,000 fine, met the presiding judge on Tuesday ahead of her scheduled court appearance. No formal steps have been taken to drop the case, she added." What a complete waste of police time. The widow sounds incredibly spiteful to me. Obviously the horse face insult has bothered her so much she cant get over it, so is willing to see the (obviously prettier in her eyes) ex wife be separated from her young daughter for 2 years. Total rubbish. What a waste of time. And she does look a bit like a horse anyway. Syl wrote: And she does look a bit like a horse anyway. Hahahahahaha and you said it twice. Sounds like first wife's revenge. Thats cos she is two faced. Original Quill wrote: Sounds like first wife's revenge. I wonder if Horse face second wife, will drop the complaint. She must be very cold hearted if she is prepared to see the prettier first wife end up inside for 2 years. Someone has seen sense at last. "A mum arrested in Dubai after calling her ex-husband's new lover a "horse" on Facebook will finally be allowed to come back to the UK. To finish off this thread, a pic as mum and daughter are reunited after mum is allowed home after her ordeal. imprisoned. She refused to drop her complaint, if she had her way wife number 1 would have been seperated from her daughter for up to two years. And for what....a silly off the cuff remark. Didn't wife no. 2 break Sharia law by fooling around with a married man? Oddly she didn't mention that when she reported wife No 1 for calling her Horseface. Wife No1 says he was having the affair when he was married to her, he left her and married his mistress....the very vindictive wife No2.. In the grand scale of things I would say his first wife had a lot more to put up with than being called a silly name.